Heinz Guderian, Adilf Hitlor, Benito Mussolini et al. 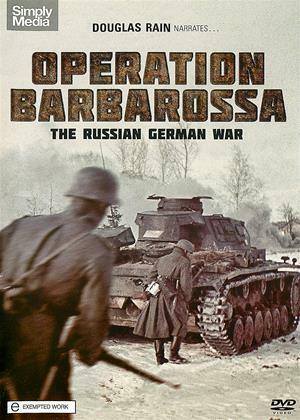 For decades the Cold War prevented the world from truly understanding the events that unfolded between the Russians and Germans on the Eastern Front during WWII. Far more than a struggle between nations, it pitted tyrant against tyrant and evil ideology against evil ideology as the lives of tens of millions were consumed by the conflict. One in 10 Russians died. One in four Poles died. And whole divisions of Italians, Romanians and Hungarians disappeared without a trace. On average, 17,800 people died every single day - and the war on the Russian/German front lasted for 1,400 days. First broadcast on Canadian television in 1995, this series featured German and Russian film footage that has never before been seen outside those countries. Narrated by Douglas Rain (the voice of HAL in 2001: A Space Odyssey) with a powerful script, this documentary offers a rare look at one of the darkest horror stories in the history of warfare. The sweeping musical score composeu by Rick Hyslop (The Passion of the Christ) only adds to the drama, and captures every nuance of the tragedy.